Tooele’s Bryerly Avina (center) is congratulated after hitting a solo home run during the third inning of Buffaloes’ 3-1 win over Grantsville on Wednesday. The home run was Avina’s first of the season. Grantsville senior Hannah Butler looks for a sign during Wednesday’s softball game against Tooele in Grantsville. 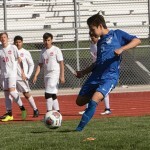 Tooele won the game 3-1. 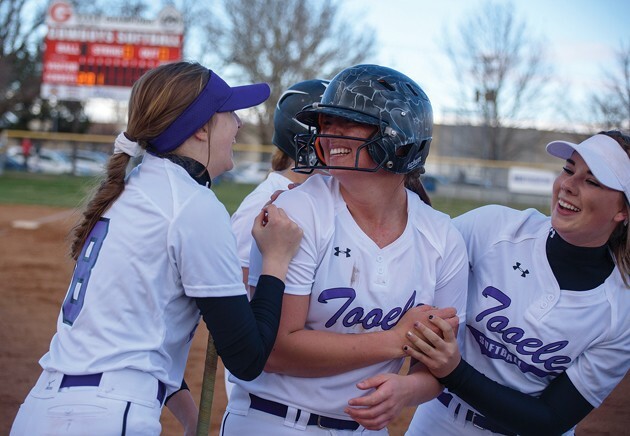 Three runs were enough for the Tooele softball team to topple two-time defending Class 3A state champion Grantsville on Wednesday in Grantsville. 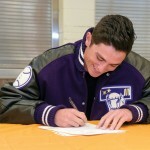 Tooele pitcher Attlyn Johnston struck out 12 and allowed two hits as the Buffaloes (9-1, 3-0 Region 11) defeated their cross-valley rivals in a non-region matchup. 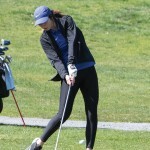 Tooele scored twice in the first inning and added a third run in the third inning when Bryerly Avina blasted a towering shot that landed about 40 feet past the center-field fence. Another crucial hit for the Buffs came in the first inning, when Kennedie Anderson ripped a shot off the right-field fence to bring home Madi Baker and Avina, who both walked. The Buffs had a few more chances to score the rest of the game, but Grantsville ace pitcher Bailey Frischknecht held them scoreless after the third. She allowed two hits for the game and struck out seven. Avina’s solo blast in the third was her first home run this season. Tooele coach Marissa Lowry said Avina is becoming a leader on a team that includes a lot of young players. “She is stepping into a leadership position for us,” Lowry said. The Cowboys (7-4, 3-0 Region 13) finally got a hit in the fourth inning on a roller through the middle of the infield. Down 3-0 with two runners on base, Grantsville nearly tied the game when Hannah Butler belted a long fly ball to deep left that was caught to end the inning. The Cowboys got their second hit of the game in the sixth inning on a single to left from Laura Sandberg. She stole second base and third base and scored on a wild throw to make it 3-1. 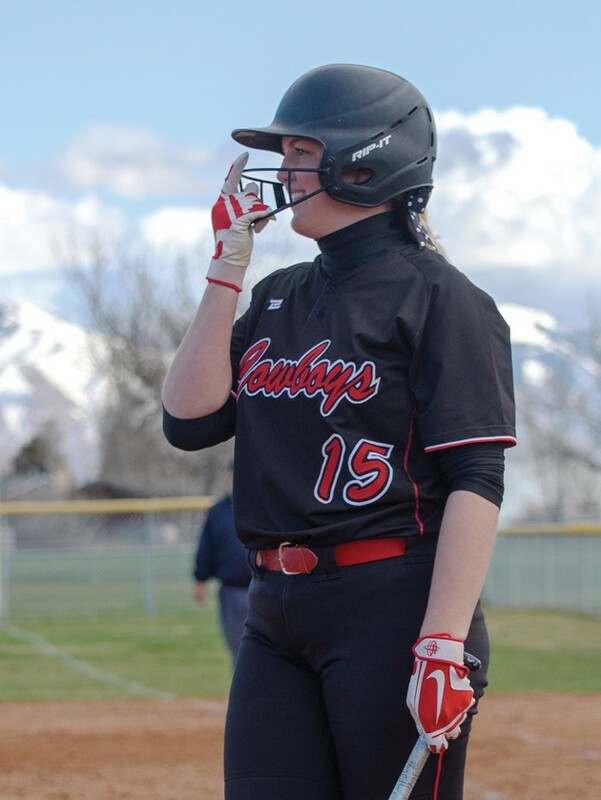 Later in the inning, Rylee Udom knocked a deep fly ball to right field for a second out, and a Grantsville runner was picked off at first base for the third out of the sixth. Grantsville continued to make some contact on Johnston pitches with a long fly out to center in the seventh. “It was good that a team finally made us do a little work on defense. We needed some practice,” Lowry said. Grantsville coach Heidi Taylor said her hitters started to see the ball as the game progressed. The game was scheduled for Tooele’s home field at the Deseret Peak Complex, but was moved to Grantsville because of field conditions.